Andrew Anglin is best recognized as the publisher of the world’s biggest neo-Nazi website, The Daily Stormer. A central and controversial figure within the white supremacist movement in the US, Anglin has lived most of his adult life in hiding. Once an insecure kid, Anglin metamorphosed from being an antiracist vegan to one of the alt-right’s most vicious trolls and propagandists. Here are answers to frequently asked questions about the atheist, avowed white supremacist, and online blogger. 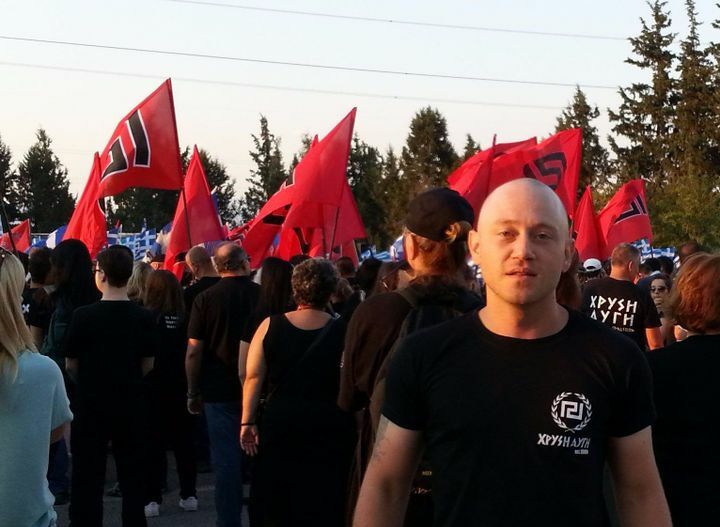 An Ohio native, Andrew Anglin was born on July 27, 1984. Raised in his hometown, Andrew’s academic records show he first attended the Linworth Alternative Program and then Worthington Christian High School. He later proceeded to study English at Ohio State University but dropped out after one semester. A quiet, insecure, vegan kid craving attention and wanting to fit in, Anglin began exhibiting uncanny behaviours during his high school days at Linworth. It was during this period that he declared himself an atheist and began promoting conspiracy theories. Andrew Anglin expresses white supremacist ideologies through his neo-Nazi website, The Daily Stormer which he established in July 2013 and registered in his father’s name Greg. Prior to The Daily Stormer, Anglin had operated three other blogs including two conspiracy theory websites – Outlaw Journalism, launched in 2006 and Adventure Quest launched in 2012 as well as his first neo-Nazi website, Total Fascism also established in 2012. His current website was conceived as a replacement for Total Fascism as well as the need for shorter articles and a more provocative style. Anglin considers The Daily Stormer a part of the alt-right movement, a coalition of far-right populists, white nationalists, and neo-Nazis. A controversial figure within the white supremacist movement, Anglin promotes hatred of Jews and denigrates minorities. Though he claims to have shifted away from neo-Nazi ideology, Anglin has continuously attacked Jews with crude anti-Semitic languages. He is also known to often attack and belittle women with his misogynist views. In the fall of 2016, a Jewish woman, Tanya Gersh of Whitefish, Montana had agreed to help Sherry Spencer the mother of Richard Spencer, a white supremacist and leading figure in the alt-right movement, sell commercial property she owns in Whitefish. However, Sherry Spencer later accused Gersh of threatening and harassing her into agreeing to sell the property. That was the beginning of Gersh’s nightmare as she became the target of a neo-Nazi troll storm of online harassment orchestrated by The Daily Stormer. In the months that followed, Andrew Anglin’s website published over 30 posts which had the phone numbers, email addresses and social media profiles of Gersh, her husband, and 12-year-old son, as well as friends and colleagues. The site also accused the Jewish woman of engaging in an “extortion racket” against Sherry Spencer. Consequently, anonymous internet trolls bombarded Gersh’s family with over 700 hateful and threatening messages. In April 2017, Gersh sued Anglin for invading her privacy, intentionally inflicting emotional distress and violating a Montana anti-intimidation law. Anglin’s site had faced two other lawsuits in the past. Taylor Dumpson, the first black woman to serve as American University’s student government president, filed a suit against the website after she became an online target following hateful messages and threats left on campus shortly after her inauguration. Again, a Muslim comedian and radio host, Dean Obeidallah filed a defamation lawsuit against the site in August 2017 for falsely accusing him of masterminding the deadly bombing of an Ariana Grande concert in Manchester, England. See Also: Is Julian Assange Dead or Alive, What is His Net Worth, Where is He Now? Since the deadly Unite the Right rally in Charlottesville, Virginia, when a white supremacist killed an activist (Heather D. Heyer) after he rammed his car into a crowd of anti-racists, The Daily Stormer has struggled to maintain a home on web hosting services. After the incident, Anglin mocked the victim on his neo-Nazi website which made GoDaddy oust the blog. Since its boot from Google and GoDaddy, The Daily Stormer has bounced around the globe with different web domains and has often been forced to operate in the dark. Andrew Anglin is a controversial figure who claims to have lived most of his adult life abroad. Though his family still lives in Ohio, Anglin has long kept his location secret for years and floated around various countries across the globe including Russia, Philippines, Greece, Cambodia, Nigeria, amongst others. The elusive blogger claims he hasn’t been to the U.S. since 2013 and has no intention of returning. So far, Anglin has managed to elude lawyers attempting to serve him with papers in various lawsuits. With claims that he gets “credible” death threats, the neo-Nazi website operator says it’s too dangerous for him to travel to the U.S. to be questioned under oath for any lawsuit. Anglin has refused to publicly reveal where he is living, thus his current whereabouts remain a mystery. 1. Andrew Anglin’s site coined its name from a Nazi-era German newspaper Der Stürmer, which successfully published Nazi propaganda back in the days. 2. Authorities have unsuccessfully tried to trace Andrew Anglin’s financial sources and sponsors. A few years back, it was revealed that The Daily Stormer used a crowdfunding website, WeSearchr, to raise over $152,000 donated by about 2,000 people in order to help foot Anglin’s legal expenses. In addition to that, Anglin is also believed to be using crypto-currency to fund his site. 3. A controversial figure, Anglin also claims he is not and has never been a neo-Nazi but simply a self-proclaimed online troll. According to Anglin, he has succeeded in promoting ‘ironic Naziism’, with an ultimate aim to demystify the concept of evil Nazis and remove its associating stigma.